In 2016, capturing “KAINOS” year of Hope Singapore and seeking time with the Lord through fasting and prayer, the leaders of Hope Churches in South America had been sensing that the year of 2017 will be a year of “Cross-over”. God is going to bring us to CROSS OVER to a NEW realm of supernatural favor, harvest in the current locations, and cross over to new localities. By faith, the leaders worked together to identify cities and countries the Lord had been impressing upon our hearts. We then began to pray and seek the Lord of the Harvest to direct us to find men of “peace” and “seed” men that would receive Hope Family and Mission and desire to multiply disciples and churches together. One of the countries identified was Bolivia. 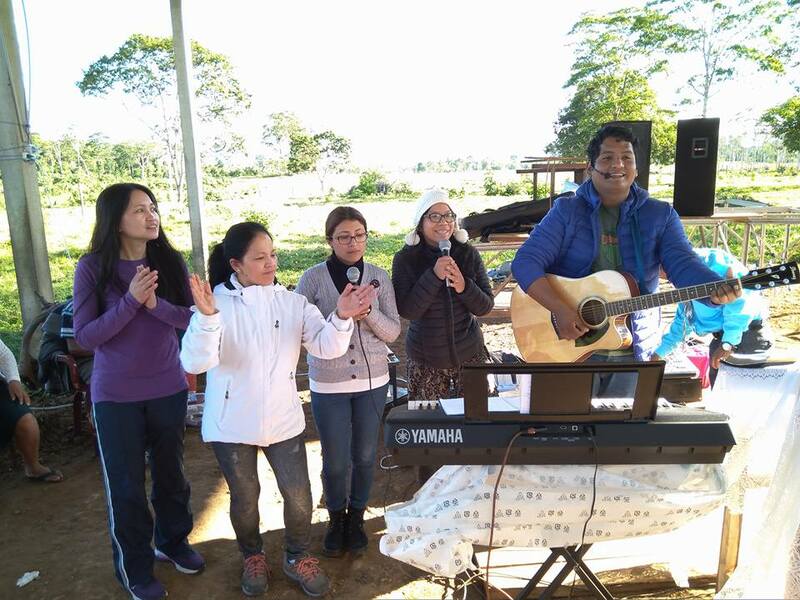 By faith, with zero contact and zero knowledge of the country, Andrew Teoh who is overseer of the churches in South America based in Santiago of Chile, began to activate one brother named Jonathan to research and pray over Bolivia. By faith, we bought the air tickets. Two weeks before the exploratory trip, we had no contact and no idea which city exactly to spend our days. 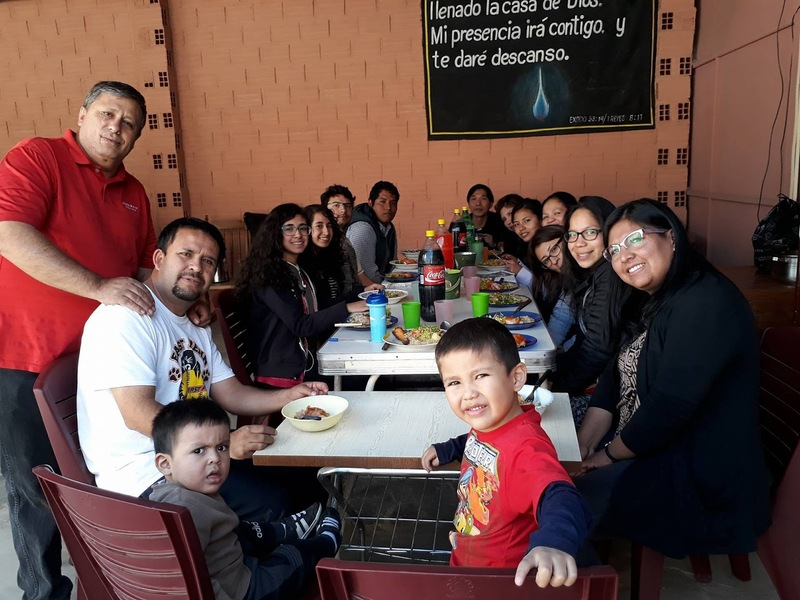 Miraculously, within the last days, God connected us with two contacts – a Peruvian brother in Christ named Felix living in Cochabamba and an unnamed Christian community in the same city (a 2nd-tier city in Bolivia). In January 2017, we flew in to La Paz (the highest or second highest city in the world) and then took an 8-hour bus ride to Cochabamba. Due to our contacts’ schedule, we only managed to spend a short evening with Felix, who turned out to be our man of “peace”, host and teammate in the follow-up trip. We also only managed to spend a short 3 hours with the pastor and family of the unnamed Christian community, who turned out to be our “seed men”. After the exploratory trip, we kept in touch with our contacts by Whatsapp and Skype. We encouraged them, prayed with and for them. Andrew communicated the intention of a follow-up trip in July 2017. 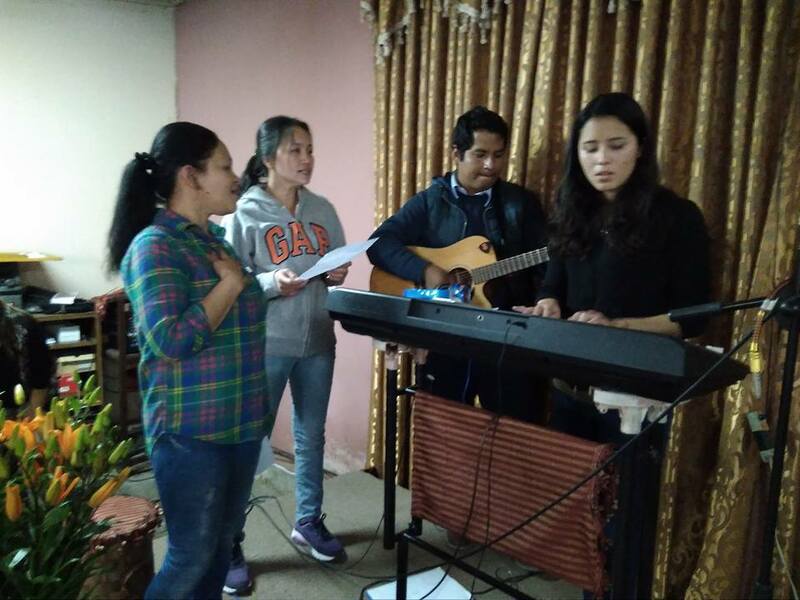 Three Peruvian leaders (Jonathan, Lizbeth and Carla) and two new leaders (Emmy and Belinda) from Hope Chile responded to the pioneering work and trip. In the midst of our preparation to July trip, God continued to give us new contacts who want to pioneer. On 18 July, we arrived in Cochabamba by night. The next morning, we met with a new contact, a couple who is doing pioneering work with the indigenous people. Over breakfast, we got to know each other and within minutes we were talking about visiting their community in Ivirsgasama (4 hours from Cochabamba), the following day. On 19 July morning, we got news that the strike and road block on the way from previous days had continued to take place. Nonetheless, we decided that we should get on with our planned trip to Ivirgasama. By vehicle, we only completed one-tenth of the journey. From where the vehicle dropped us off, we then walked on foot for four hours, some parts of it on asphalt road and some on small sandy path. Thank God, in the course of walking, praying and praising, 8 of us flagged an 8-seater van and squeezed ourselves into the vehicle which was eventually packed with 14 passengers. After 2 hours in the crammed van, we alighted at a rest station. There was an another 3-hour journey to go but no empty vehicle was in sight. We prayed and finally a bus came packed with seated passengers. We decided not to wait any longer and took the bus standing for another 3 hours. No words could describe our joy when we finally reached Ivirgasama. After a good night’s rest, the following day was amazing. 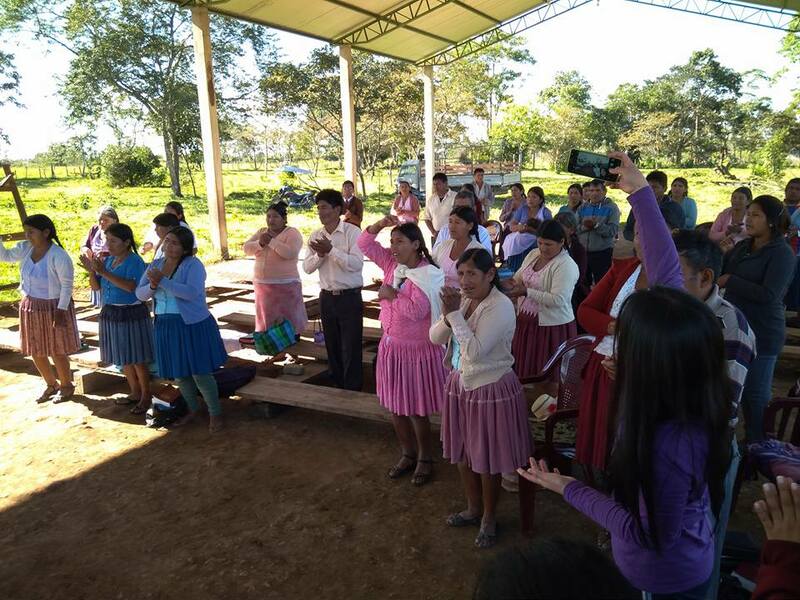 In a fasting and prayer time organized by our contact, we gathered and met with Quechua-speaking brothers and sisters (Bolivia’s indigenous people). We were amazed by their hearts of worship and serving the Lord despite their living condition and the condition of their gathering place. They came from towns one to two hours away from the gathering place, which is not more than a pavilion without walls, with a fully dirt floor and partly covered cow dungsks. On the day of gathering, from their apparent lack, they were giving gifts to the church, ranging from self-made wooden pulpit to very primitive cooking stove. We were totally blown away. In the Spirit, we sensed and shared with them that God is going to make this community fertile and fruitful. Each of us also gave a message to encourage them and gave them Bibles. 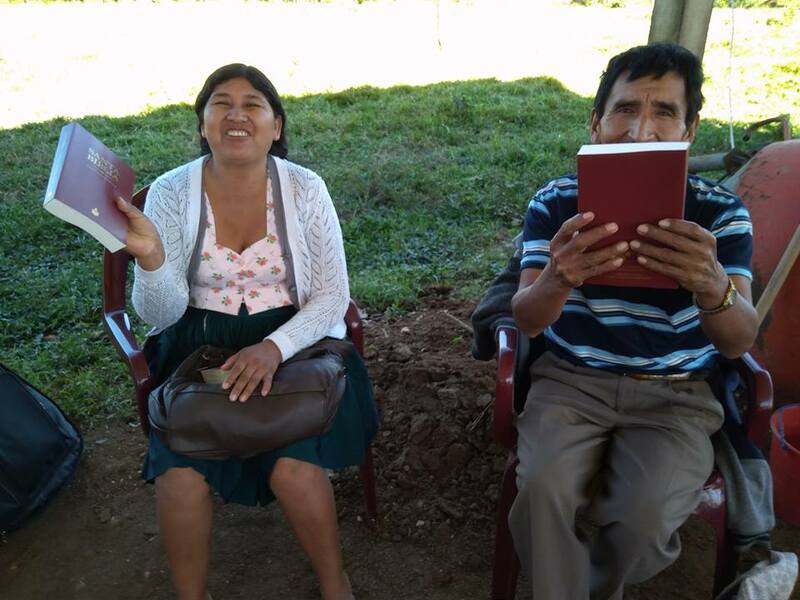 They received the Bibles and the message with glad and sincere hearts. 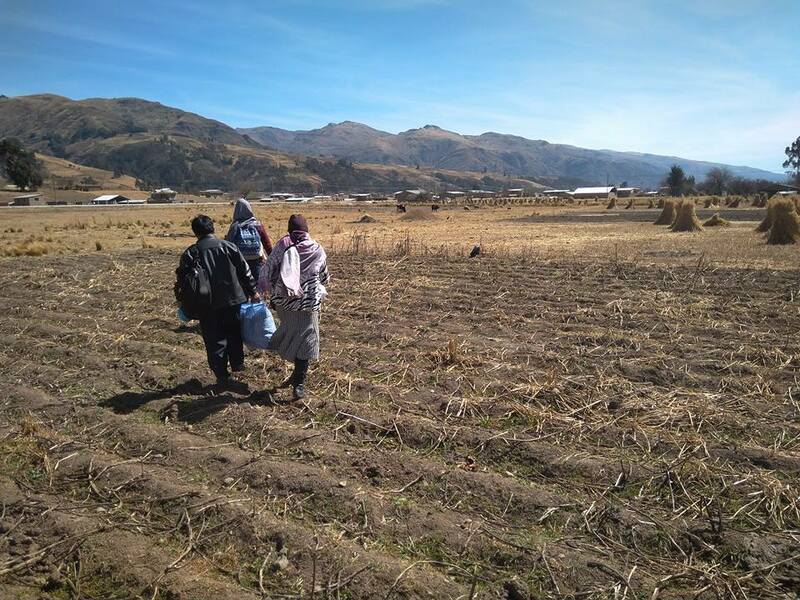 It was indeed mind blowing to see how God used us of little Quechua to encourage them and soon as we felt, to work with them to reach out and disciple all their indigenous communities. 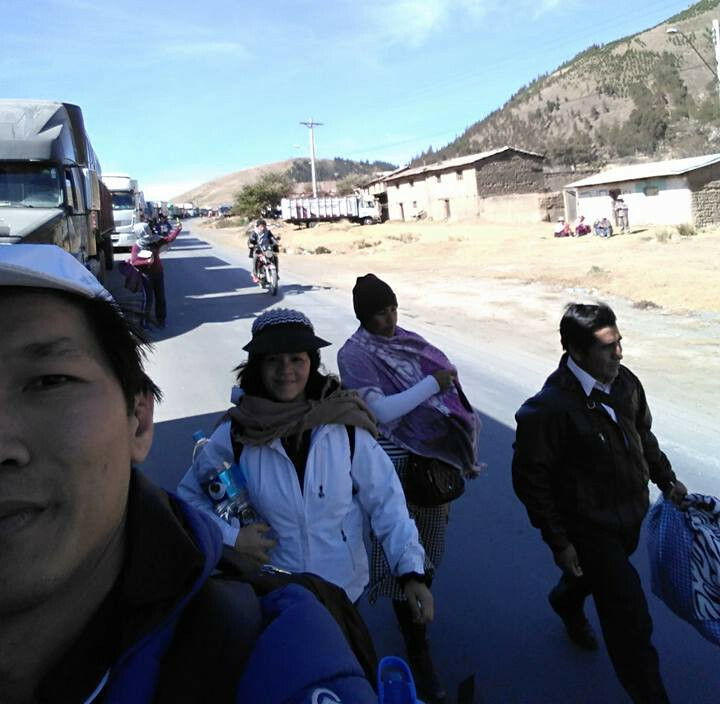 After the 3-day-2-night stay in Ivirgasama, we returned to Cochabamba city. We then continued to meet with our contact pastor, Pastor Arturo and his family/team. Andrew spent time with the pastor while the team got to know the pastors’ team. 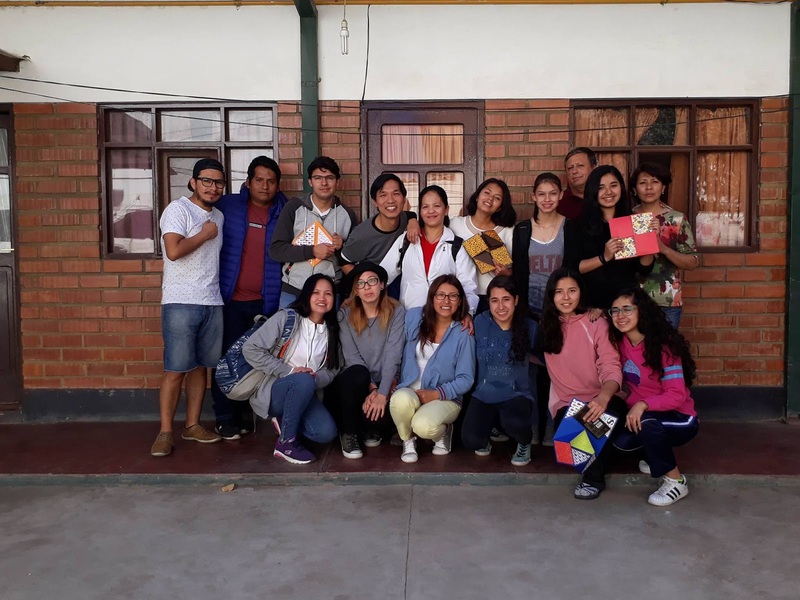 After sharing our hearts and a praying togethertime, both our team and their team felt that we are in one spirit and one purpose, united as a family to fulfil the Great Commission by winning Cochabamba, Bolivia and beyond. In the following two days, we spent time eating, playing with the team, also discipling their team in Discipleship, Outreach and Care. We also did two worship gatherings with them. , Lwhich we later, we found out that from last trip till we met again, their community had grown from 40 to 100 people , and had since pioneered 7 Life Groups! 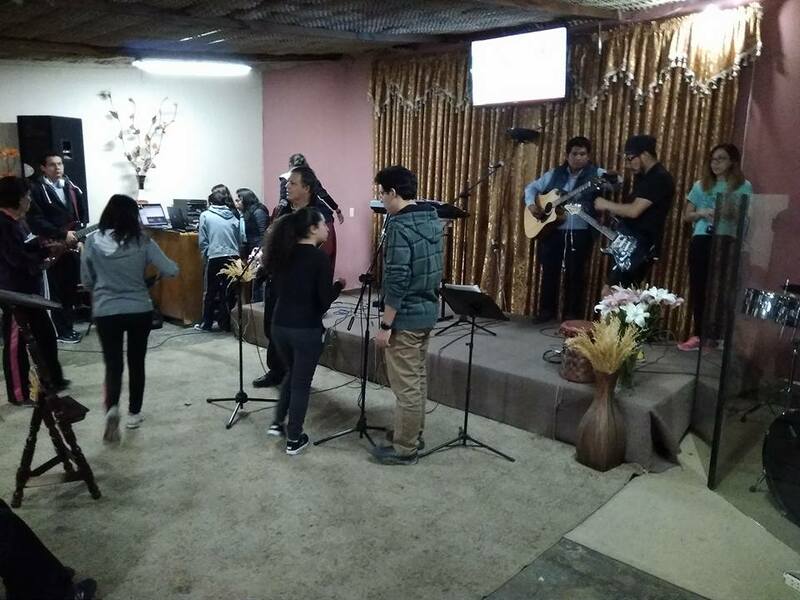 Praise God for He is moving mightily in Cochabamba! Throughout our stay, we were hosted by our Peruvian brother Felix in his house. Bolivia had severe water supply problem. Two months before, we were being informed of the possibility of staying in Felix’s house without water. Lo and behold, a few days before our arrival, the water came in abundant supply. Thank God because He indeed provided everything we needed and worked more marvelously than we could ever imagined. 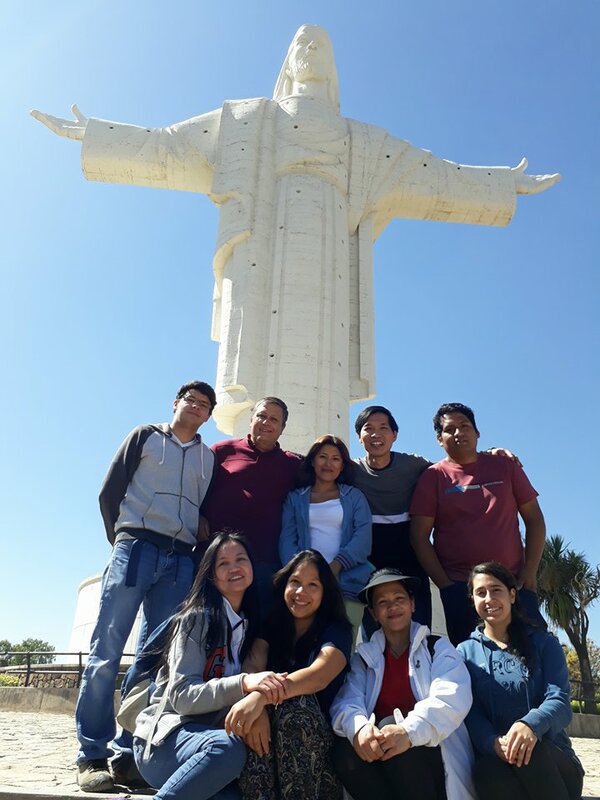 Withinhout a short time, we saw God opening doors and directing us to God-hungry people whom we can call Hope family, united to win Bolivia, South America and beyond together.